Croatia possesses a rich and interesting history; a history that has made Croatia a culturally diverse region of the world. The culture of Croatia was forged by the assimilation of other cultures; thus, Croatian culture, including all of the arts is amazingly diverse. Further, while Croatia is a country that assimilated with other cultures, it is still a country that maintained it strong sense of cultural heritage and the mixture of cultural traditions has formed a completely distinct concept of art defined as Croatian. The folk arts are adored in Croatia, and many festivals take place in the country every year. One primary festival is the Zagreb International Folklore event: an event that turns out a major crowd each year. Plus, Zagreb, Croatia also hosts the Urban Festival, and the World Theatre Festival: both of which are annual events. In fact, Zagreb is a tourist hotspot in Croatia, offering tourists much to see and do in the way of recreational activities and entertainment. Zagreb offers up numerous cafes and bars, most which are situated along Tkalcicceva in Gornji Grad. Croatian peoples shared their rich heritage with their people through the various Croatian folklore and dance. In Croatia, music and dance are revered as part of the primary traditions of the people and many special holidays are celebrated with music and dance. Further, such celebrations are quite elaborate; the Croatian people will don on vibrantly colored costumes and display their amazing love and skill for the art of dancing. The music often danced to is produced by accordions, guitars, tamburas, three string mandolins, five stringed mandolins or violins; all instruments typically used for producing the distinctive sound of folk music. Additionally, one will find that Croatia is a region where people adore classical music just as much as they love folk music; actually, the famous concert pianist, Ivo Pogorelich is a native of Croatia and he has done much for Croatia to support new and budding musicians by offering scholarships and funding events. Finally, Croatia is a country that is also honored for the literary artists that it is home to. Marin Drzic, a playwrite, Vensna Parun, a poet, and Miroslav Krelza, an author are natives of the region. The construction and design of much of the architecture in Croatia can be dated back to the Roman Empire. 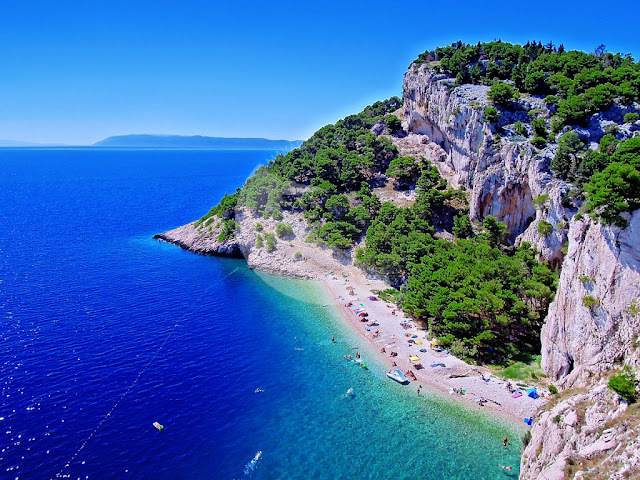 Dubronvnik is noted for its well preserved medieval and renaissance buildings, while the Temple of Augustus in Pula, the Euphrasius Basilic in Porec, the Roman Colosseum in Pula and the Diocletian Palace in Split remain major tourist attractions.